Acclaimed and bestselling author Robin Hobb continues her Fitz and the Fool trilogy with this second entry, following Fool’s Assassin, ramping up the tension and the intrigue as disaster continues to strike at Fitz’s life and heart. After nearly killing his oldest friend, the Fool, and finding his daughter stolen away by those who were once targeting the Fool, FitzChivarly Farseer is out for blood. And who better to wreak havoc than a highly trained and deadly former royal assassin? Fitz might have let his skills go fallow over his years of peace, but such things, once learned, are not so easily forgotten. 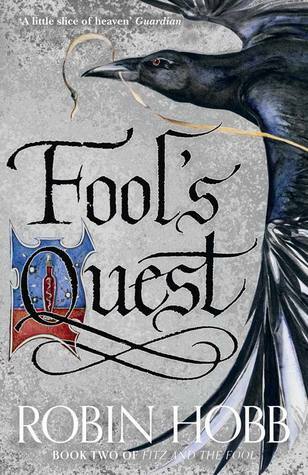 Fool’s Quest is the second book in the new Fitz and the Fool trilogy, and contains spoilers for the first book, Fool’s Assassin. You might like to read my review for that book instead. Finally, a book worthy to continue Fitz’s story! I enjoyed reading Fool’s Assassin last year, but felt there was something missing from the tale – probably too much story building and sadness and not enough action. Fool’s Quest was still a little slow at times. Even though it picked up immediately after the cliffhanger, Fitz himself didn’t find out what has happened for quite a few chapters, but once the folk at Buckkeep do find out, it’s all systems go, Fitz blames himself (as usual) for the horrible things that have happened at Withywoods and immediately swears vengeance. There is a lot of nostalgic referencing of earlier events and lost characters in this part of the story and there were things that pass between Fitz, the Fool, Chade and Kettricken that felt like they were a long time coming. It has been too long since I read the previous trilogies and many of these events are vague in my mind, but they are evoked in a way that made me remember them as I read. 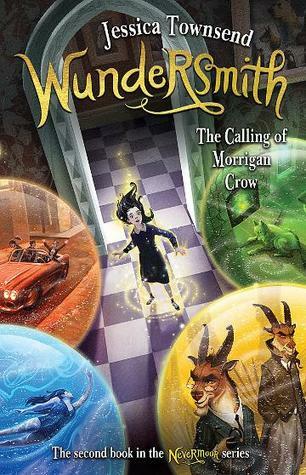 It’s truly a book for old fans of the Elderlings series. The emotional turmoil in this book is incredible, and I was reminded just how much of a master of human portrayal Robin Hobb is. Every character feels so alive and we feel every emotion right along with them. There’s plenty of joy along with some terrible sadness, rage and terror, and of course it all ends on another double-cliffhanger. I’d recommend reading the whole thing in as few sittings as you can manage – it took me lots of little sessions over a week to get through it and it drove me crazy having to stop all the time! A warning: You might like to skip this series if you are upset by sexual violence and torture. I mean, you should know what you’re getting into with Robin Hobb really, but there are particular scenes in this book that are pretty horrible.